Going fast and light often requires ditching the boots and going with something a bit lighter. The Ahnu Ridgecrest is designed to be just that. Waterproof and stable, the light weight yet stable trail shoes offer a more nimble approach to hitting trails without sacrificing protection or durability. I’ve put them to the test, and these are my results. Designed as much for long thru-hikes as local day hikes, the Ridgecrest employ the increasingly popular eVent waterproofing membrane for its durability, long lasting water protection and real world breathability. Lining the entire shoe, the eVent fabric keeps out rain and moisture while dashing through puddles or wet grass, but also releases water vapor after sweating up long climbs. Mesh panels circumvent the mostly leather body, providing an easier escape for vapor in low stress/high sweat areas. A grippy Spider Rubber outsole protects the bottom of the shoe and provides traction in a variety of conditions. An RMA midsole (a combination of rubber and EVA foam) absorbs shocks and provides cushioning against the ground. The shoes come in a full range of sizes, three colors, weigh 15.8 oz and retail for $150. Light weight and stable, the Ridgecrest shoes have served me well in every environment that I’ve put them through. Long stretches of loose dirt, slick wet rock climbs, gravel, miles of concrete, and scurries through grassy fields all proved to be no challenge. 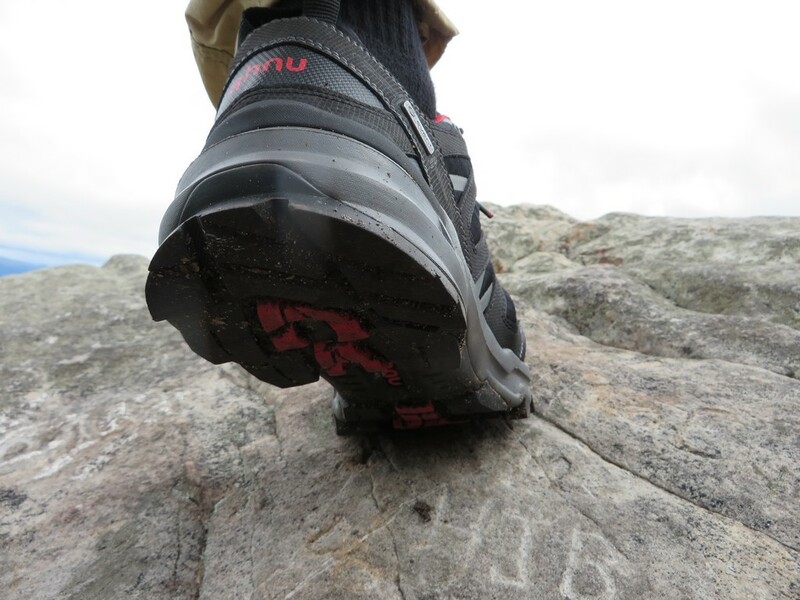 The Spider outsole grips great even when traversing angled, slippery limestone after a rain, and the TPU shank provided enough support to avoid pronation/rolling on uneven terrain. The light weight build preserved energy on long climbs, allowing me to reach my local peaks faster than usual, and the eVent waterproof membrane kept me dry the entire time, even while crossing shallow streams. The build quality and durability are both above average. Miles of traversing the concrete jungle has had no visible effect on the outsole, and grinding through jagged rock outcrops and bashing my toes against roots and stone has yet to show any wear on the body of the shoe. There is no loosening of the eyelets nor any fraying of the laces. The waterproofing membrane has held up great too, and even the leather is still shedding water after being doused continuously with dirt and mud, which typically negates the hydrophobic effect applied to these materials. Comfort all around is excellent. The shoes are stiff enough to provide protection, but flexible enough to bend and fold with my foot as needed. The arch is steep enough to provide support, but not so tall that it actually increases pain when hiking. The leather body is molded expertly, more akin to being wrapped around my foot instead of my foot being jammed inside. There are no rough or abrasive seams to be found anywhere inside, and they’ve proved an excellent defender against blisters and heel slip thanks to the contoured shaping and ability to lace up tight in areas prone to slipping. The toe is just beefy enough to prevent any stubbed toes, and the heel and ankles have so far prevented any ankle abrasions on scrambles and climbs. They’re so comfortable in fact that I’ve caught myself wearing them around from time to time without even noticing, having forgot to take them off after hikes or simply putting them on in the morning out of instinct. They look great. The available colors are subtle, but still offer just a little bit of flare via highlights of color to make them stand out. They look of quality, without being pretentious or gaudy. The shoes take a little break in time per usual, having a stiff (but supportive) collar and eyelets. Until broke in the appropriately ridged collar caused a little bit of discomfort around the ankle, but it’s been smooth sailing ever since. Just give them a few days. 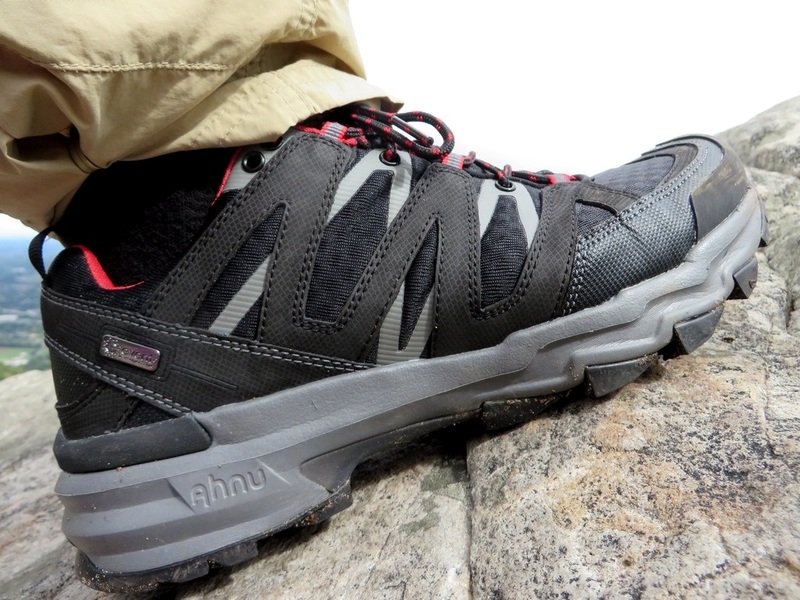 The Ridgecrest are impressively comfortable and supportive for long, fast treks where light weight protection is needed. After miles and miles of hiking, my feet were comfortable, dry, blister free, and devoid of pain or tenderness. 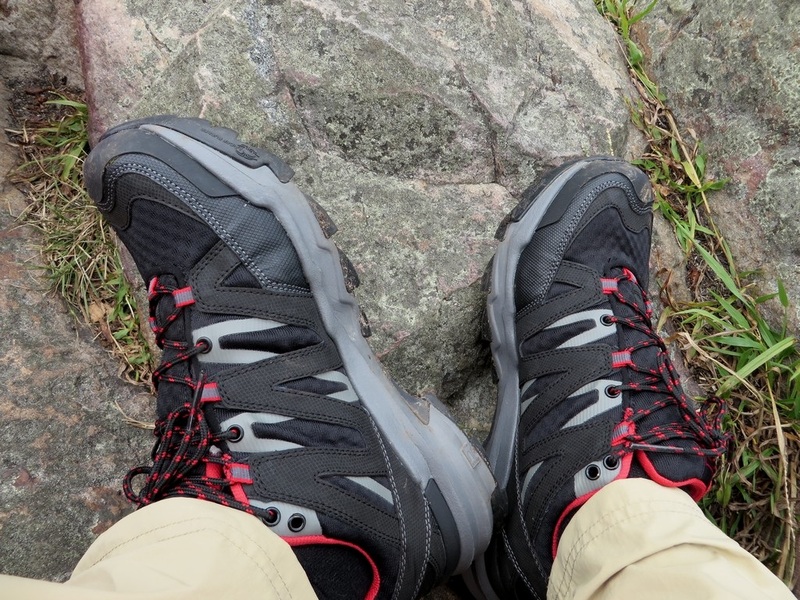 The build quality is great all around thanks to the solid choice of materials and excellent craftsmanship, resisting wear and tear while maintaining performance as they age and mold to my feet. Traversing wet and dry environments was always reliable and predictable, maintaining grip and resisting rolling, bestowing confidence while jumping across gaps and ridges. They’re light, durable, and provide real protection while looking modest, yet of value. They’re some of the best trail shoes I’ve ever used. 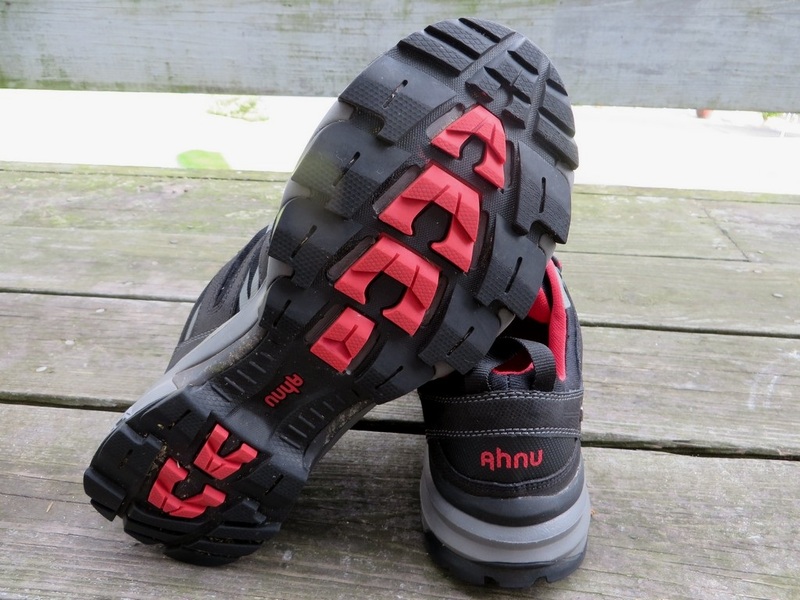 I want to extend a huge thanks to Ahnu or their continued support and for providing us this great pair of shoes for review. We couldn’t do this alone. Our full disclosure can be found here. In this post you’ve got ‘heal slip’ and ‘heal and ankles’. Thanks for this! The bane of my existence is the built in autocorrect via wordpress. I appreciate the heads up! Also – totally agree about the autocorrect! It’s forever trying to change the names of my illnesses and medications to other things. There’s one word in particular it’s always changing that frustrates me every time, but I can’t remember which word it is. I’ll remember next time I’m trying to type it in, and it keeps changing it when I move on to type the next word! Tis is a strange technology. I can run it through multiple checkers, but in the end I have to pour over it manually to find the odd ones. I still miss some of the obvious stuff though.